Last night, I wrote up my initial thoughts on Google+ after using it for a day. Overall, I find it pretty compelling so far. While there is a bit of a learning curve, after about 15 minutes, I found myself at home using the service. And little things (namely notifications) kept bringing me back. But let’s be realistic, it has only been a day. The new car smell has yet to wear off. And I have also noticed a few other things that may spell trouble down the road. Right now, almost every single post I see on Google+ is shared with the Public. Perhaps this is to be expected since the initial roll-out yesterday was very small. People don’t have a lot of friend in their Circles yet, so they’re posting everything to the public in the hopes of seeing some interaction, I imagine. I have been doing this too. But tonight, Google started dishing out invites for early users to spread around as they see fit. As far as I can tell, the service is seeing a massive influx of new users right now — a lot more than yesterday. And while Google’s servers appear to be handling the new load just fine, I do wonder what this will mean for the underlying principles of the site. Namely, will people start using Circles in the correct way? By “correct”, I don’t mean to suggest that there is a set way to use Google+. But it’s no secret that Circles are a huge part of what the service is supposed to be about. Google has spent a lot of time and energy working on what they believe to be the correct system for grouping people together for the purpose of sharing content online. But again, right now, most people seem to be sharing to “Public” and not actually using their Circles. That type of usage doesn’t seem tenable as Google+ gains users. Imagine the service having over a million users (which would be quite low for Google) — while you’ll still be in control of what posts you see, the comment sections will likely be too much. And people re-sharing other content will lead to too much noise. More importantly, that would make Google+ just another slightly different version of Twitter, Facebook, etc. Then it becomes a question of “why share here instead of there?” — and that’s not something I’m sure Google can win coming to the game so late. I think Google knows all of this. I don’t believe they’re setting out this time with the intention of trying to win that game. They did that with Buzz, and they lost. 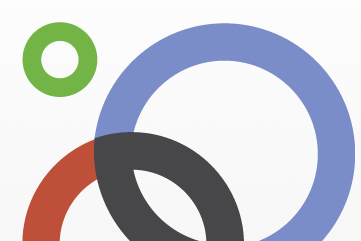 The emphasis with Google+ is on using Circles as a sort of natural filter. The hope is that you’ll share within Google+ the same way you do in the real world. You’ll send certain things to your close friends, other things to your co-workers, other things to your college buddies, etc. But as everyone has learned over the years, getting users to create and use groups is hard. Just ask Mark Zuckerberg. No one wants to do it. With Google+, Google has created the most visually appealing and simple way to create groups yet (better than even Facebook’s revamped Groups). But I’m still not entirely sold that people will do it. Or at least not to the extent that Google hopes. Google has smartly made it so that you have to add people to Circles in order to “follow” them. This is a slight barrier to entry in terms of digging in and using the service, but it does bolster the Circle idea. But instead of creating a bunch of Circles, I foresee people simply shoving everyone into the default “Friends” or “Following” Circles and going about their business. Who knows, maybe I’m just a Silicon Valley guy who has lost touch with reality. It’s entirely possible. But maybe, just maybe, the opposite is true. Maybe “regular” people have been allergic to using groups in the past because they simply don’t want to use groups. Maybe it’s one of those things that’s a good idea on paper or in a brain-storming session, but doesn’t translate onto the web. Maybe — gasp — the web isn’t meant to mimic the real world. Again, I’m not saying that’s for sure the case. I’m just very curious to see how Google+ usage plays out with a ton of people now using it. Will the current public sharing we’re seeing yield to the use of Circles? Or is the idea of public sharing becoming mainstream enough that it’s the new norm? That idea will certainly piss some people off. The old “I don’t want my boss or my mom seeing my drunken pictures” thing is the oft-cited rationale for why we need groups. But Twitter and now Facebook have slowly been changing that mentality in the public psyche. Increasingly, everything we do online is becoming public. You can say you hate it all you want, but it’s becoming more accepted each day. And this will only continue. When I look at my Google+ Circles right now, I think: what would I share with only these select people that I wouldn’t share with everyone? It’s hard to come up with an answer. People jump on me: “you don’t have kids!” That’s true, but I have a lot of friends with kids. The vast majority of them seem fine sharing those pictures with the public. Further, I’m just not sure that sharing pictures of your kids is a big enough use case to constitute an entire, massive social fabric. For certain smaller services, sure. For Google? No. This is the company that wants to organize all of the world’s data. In order to do that, don’t they need all of that data to be public? Doesn’t it seem like they should be pushing the fully public Twitter mentality more than private group sharing? It sure does. But again, they already lost that race. And the attempts to buy Twitter have been rebuffed. So instead they’re going for the market where there is an opening right now. And maybe that will work. Again, I like Google+ a lot so far. But I like it because it’s a well-made network with some interesting tools. I’m not sold on Circles yet. Maybe other features like Huddle (group mobile chat) will change that. Maybe they won’t. Google has said that this initial roll-out of Google+ is only a sliver of what’s to come. So we’ll have to wait and see. But whether they like it or not, the public vs. Circle trial is beginning right now. If everyone keeps sharing with the public, Google+ will be a public network. And that’s fine. I’m just not sure it’s what Google wants, because I’m not sure it’s something anyone needs another version of. Instead, the best hope for Google+ may be for Circles to take off and get people hooked on specialized sharing with smaller networks, and then for public sharing to come up later and take its place. You know, the Facebook doctrine.